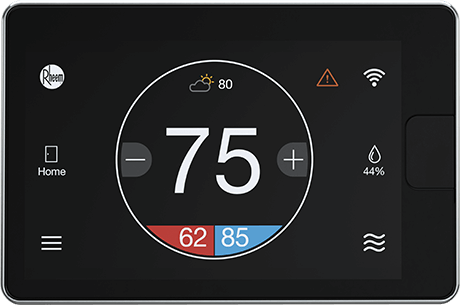 Creating intelligent products that help save energy and conserve water. 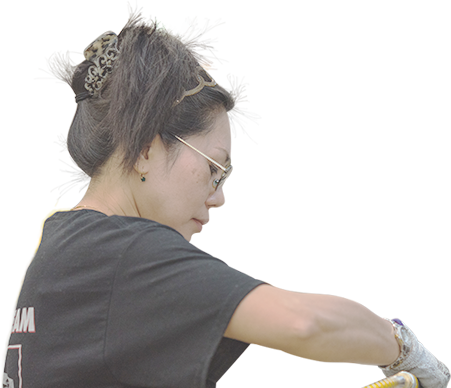 We are focused on innovating with intent, engineering solutions with lifetime sustainability in mind—from material selection to smart features to responsible recycling. And, our products are designed to meet our customers' needs—giving them greater control over their energy and water consumption, lowering their environmental impact. 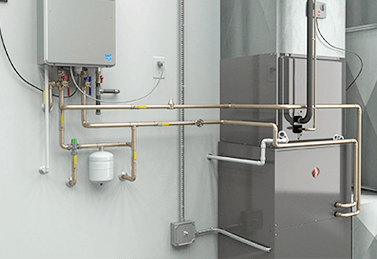 We are transforming the industry by introducing ground-breaking, intelligent air and water solutions to homes and businesses around the globe. 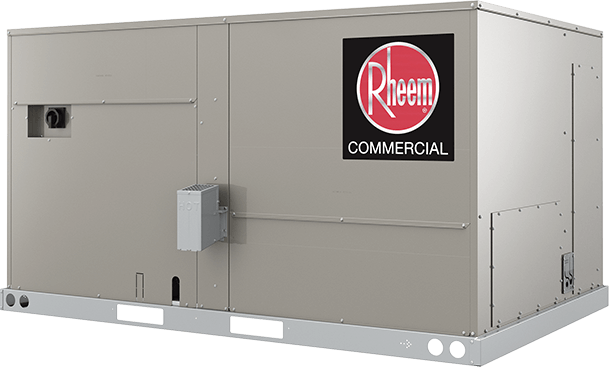 By 2025, Rheem® will launch a line of heating, cooling and water heating products that boast a 50% reduction in greenhouse gas footprint. 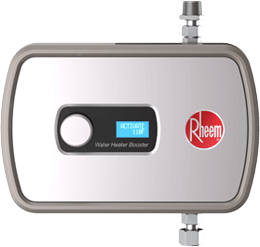 The Rheem® Hybrid Electric Water Heater is 297% more efficient than standard electric water heaters for huge energy savings. Its sustainability story also includes quiet operation, eco-friendly and recyclable materials, an anodized jacket to eliminate corrosion for a long life. And its built-in water leak detection helps keep building products and possessions out of the landfill. 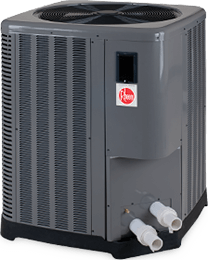 The most efficient choice for keeping homes comfortable through every season, heat pumps work by pushing hot air out of the home on hot days and drawing heat from outside air to keep houses warm on cold days. 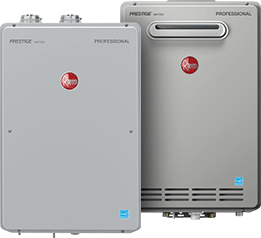 With a super-high SEER and EcoNet®-enabled controls, the Rheem® Prestige® Series RP20 Heat Pump is a perfect example of Rheem efficiency at work. 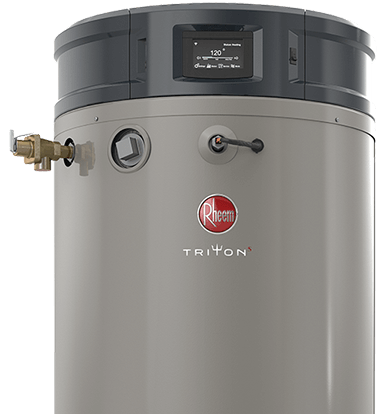 The Rheem® Triton® is the most intelligent high-efficiency commercial gas water heater on the market and our most sustainable commercial gas tank. 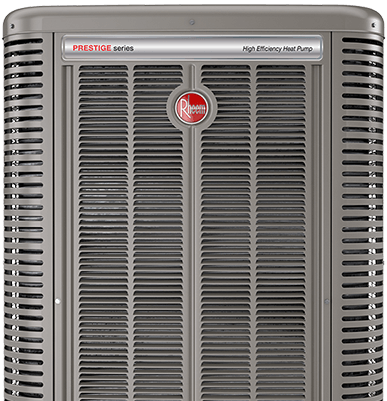 It’s high-efficiency design helps it save more energy than standard commercial water heaters. Its manufacturing process includes enamel reclamation and reduction of plastics. 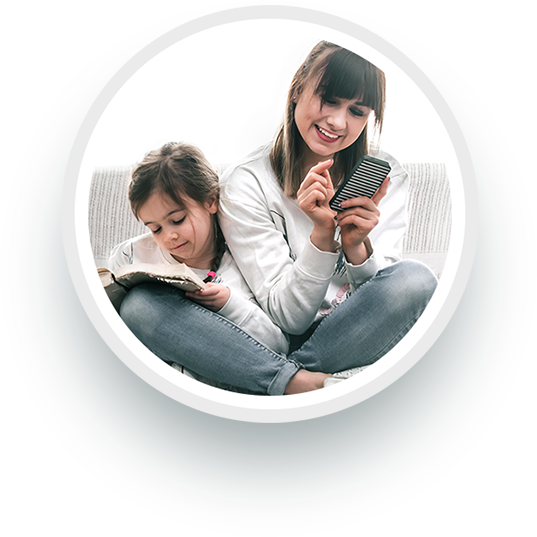 And its compatibility with EcoNet® means it can work with building management systems, offering health alerts, remote shut off, and LeakSense™ and LeakGuard™ to keep building materials from ending up in landfills due to water damage. 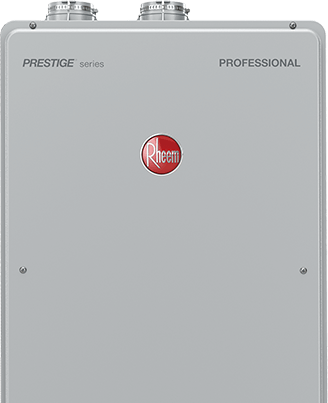 ENERGY STAR®-Certified Rheem® Prestige® Series Two-Stage Variable Speed R96V Gas Furnaces are efficient and designed for maximum comfort while using a minimal amount of energy. It’s quiet and with features like Direct Spark Ignition, it’s built to last. 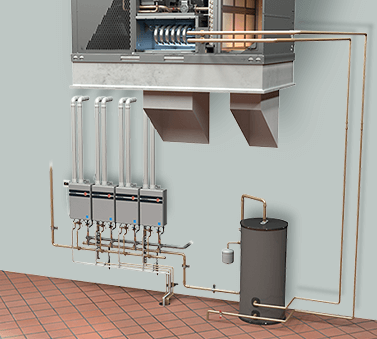 And, the Water Management System with patented Blocked Drain Sensor is designed to help prevent condensation from causing home damage. 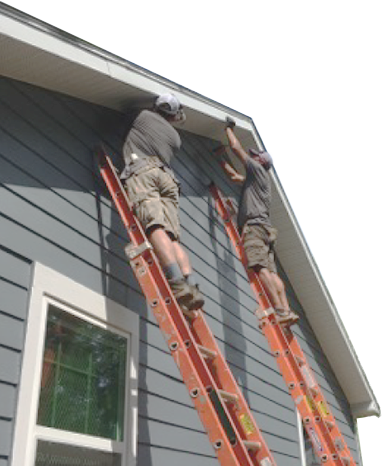 It’s a testament that even small improvements can add up to make homes more sustainable. 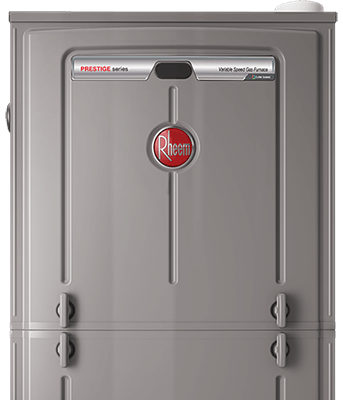 The Renaissance™ Line delivers improved energy savings of over 30% when compared to current baseline technology—translating into a reduced environmental footprint (not to mention savings of thousands of dollars over the life of the equipment). 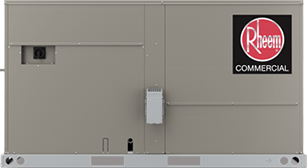 It features Variable Frequency Drive, which adjusts fan operation to the load, so no extra energy is wasted. 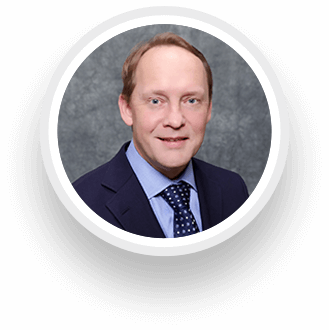 And it’s loaded with innovative and improved technologies for compliance with the Department of Energy’s (DOE) IEER standards that went into effect in January 2018. Plus, we’re ready RIGHT NOW for 2023 regulations. 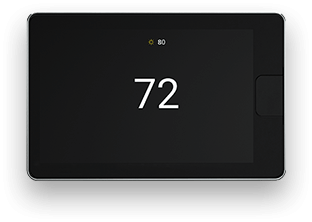 So we designed it to work to work well—and well into the future. 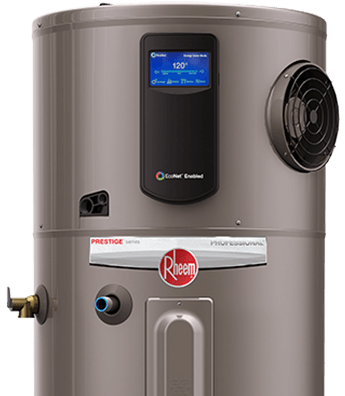 The Rheem® EcoNet® Smart Monitoring System was designed with efficiency in mind, making it the perfect tool to keep air and water systems working smart—and saving energy. 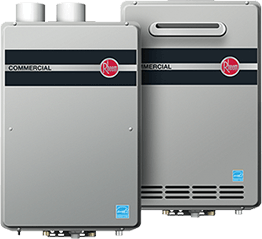 EcoNet enables some of our most efficient heating, cooling and water heating solutions work even more efficiently. We hire and inspire our teams to be next-generation thinkers and responsible stewards of our industry, greater community and the environment.